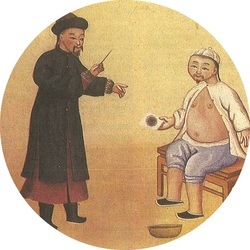 Traditional Chinese Medicine is based on the principle of Qi or Vital Energy and that your Vital Energy and physical body are intimately intertwined. Essentially, where Qi goes the body will follow and vice versa. Therefore, when your Qi is in balance, your physical, mental and emotional self will also be in balance. Acupuncture works by using hair-thin needles to access Qi through the surface of the body at specific acu-points. By balancing the bodies’ Qi, acupuncture balances the physical body in turn. Once balance is achieved, health is restored and can be maintained. The ancient sages did not treat those who had already become ill; they did not try to rule those who were already rebellious. Instead, they preferred to education the people before they rebelled. They treated their patients before they could get sick Treating people who are sick with herbs and acupuncture can be compared to the behavior of people who only start forging their weapons after they are engaged in battle or to those who only think of digging a well after they feel thirsty. Aren’t such actions just a little late?-Yellow Emperor’s Canon of Internal Medicine, 100-300 B.C.E. In other words, treat preventatively, and you will always be well. In today’s society, however, it can be difficult to take the necessary steps to both become and stay well but luckily, Chinese Medicine has migrated from East to West and is now at our disposal to both help us become well and stay that way.